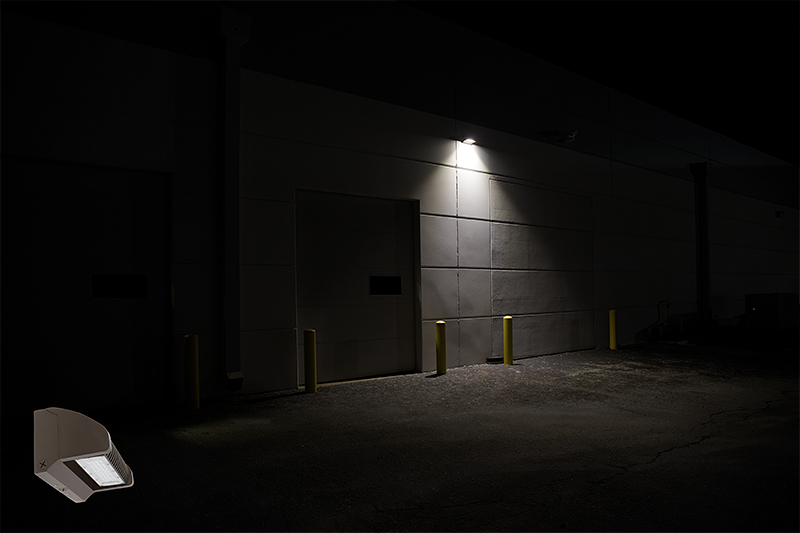 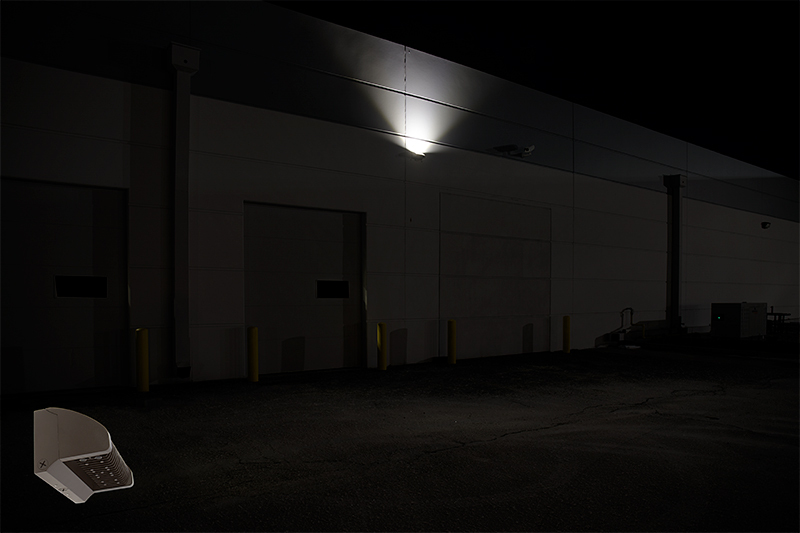 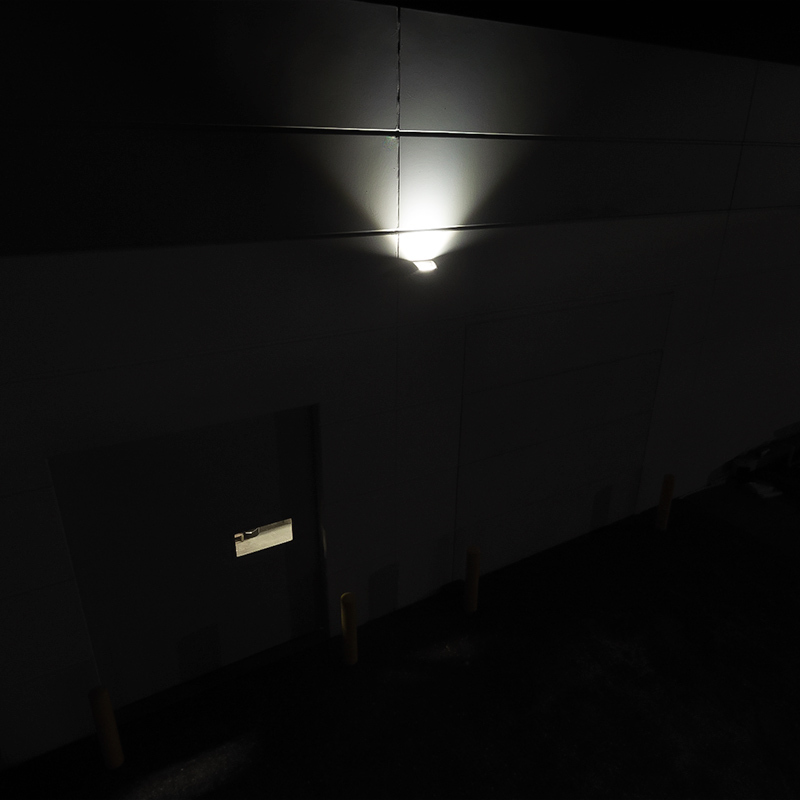 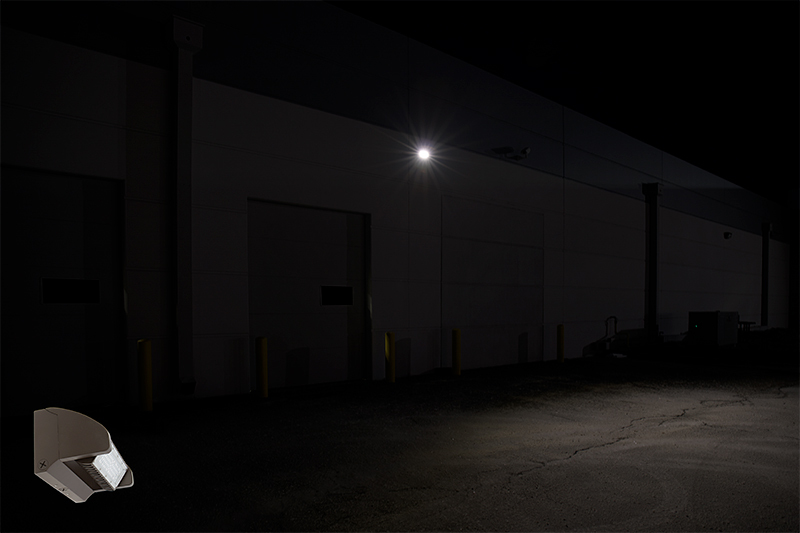 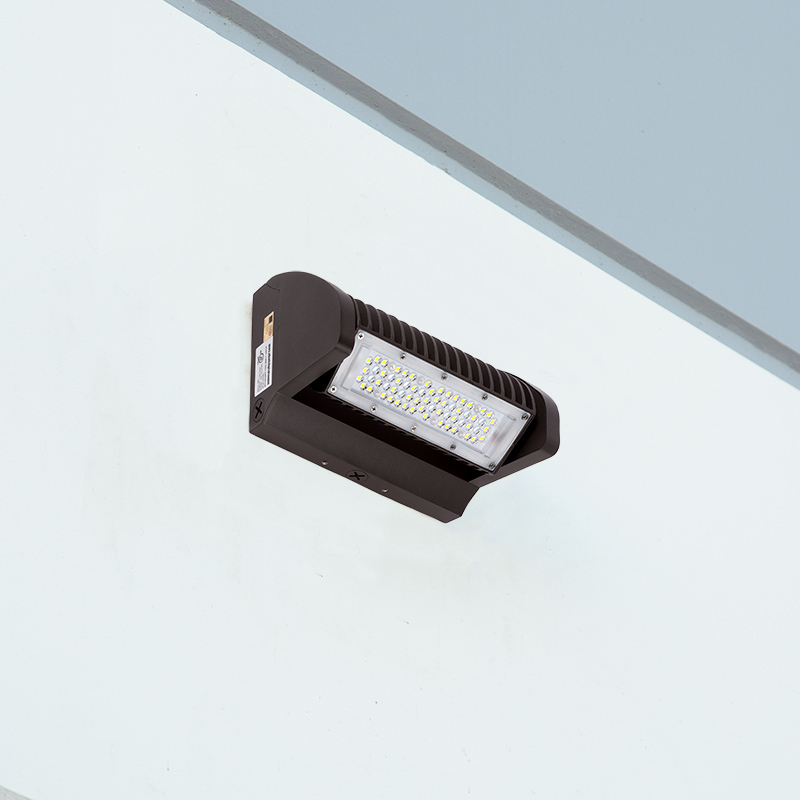 This LED wall pack is great for building accent lighting, parking lot lighting, security lighting, architectural lighting, loading bay lighting, commercial entryways, and more. 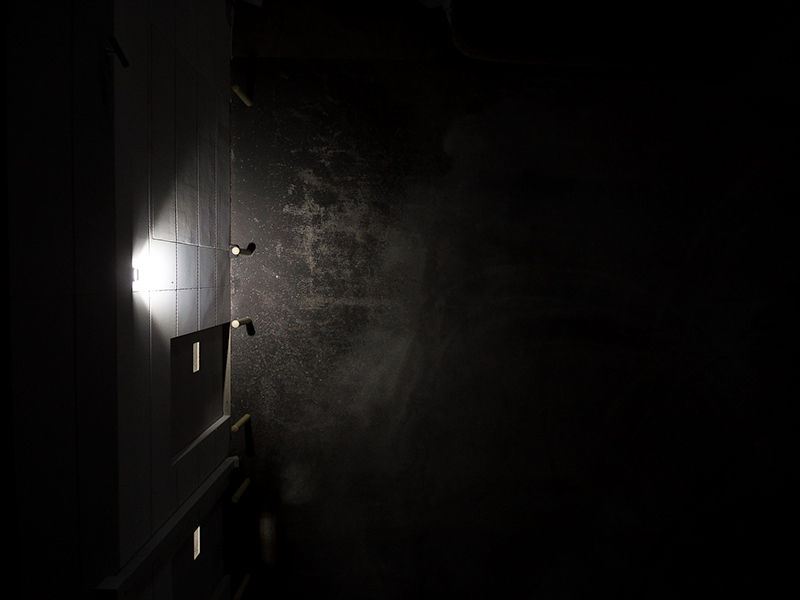 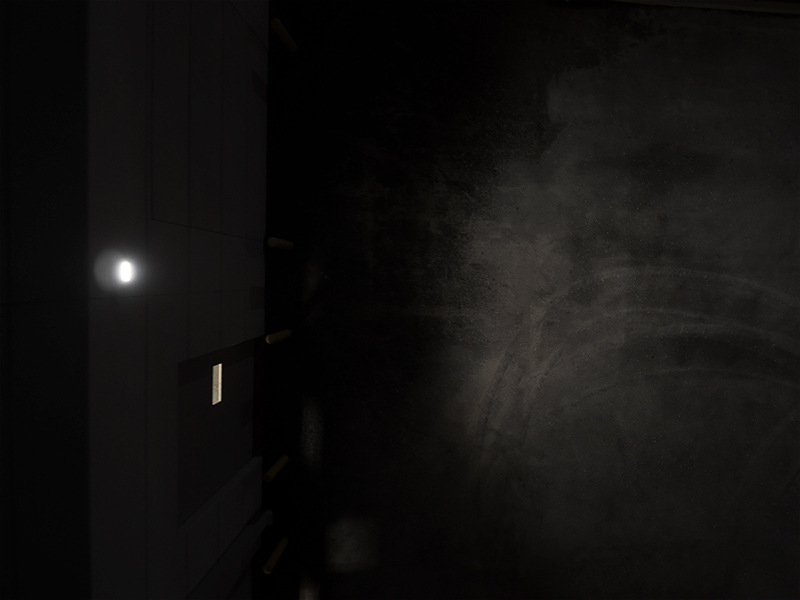 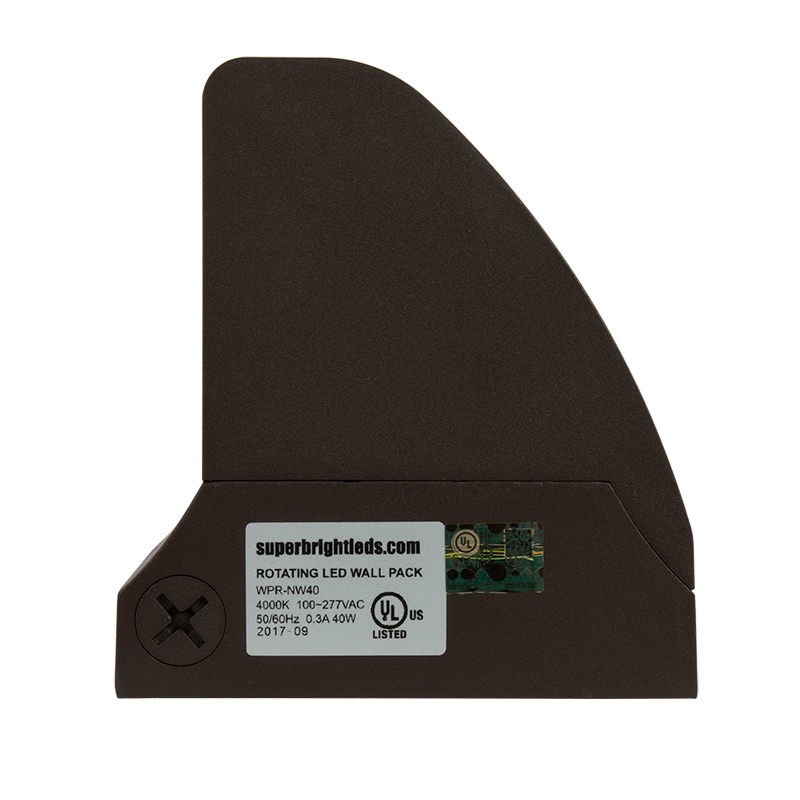 Easily rotate the wall pack light head 360° for illumination exactly where it's needed. 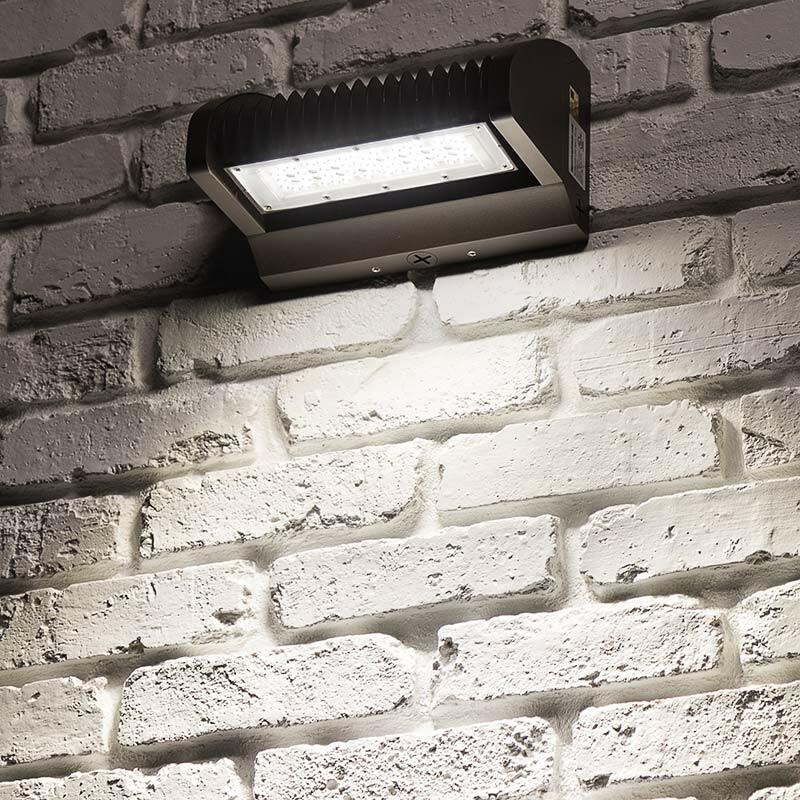 Using powerful LEDs, the wall pack emits 4,800 lumens of natural white illumination. 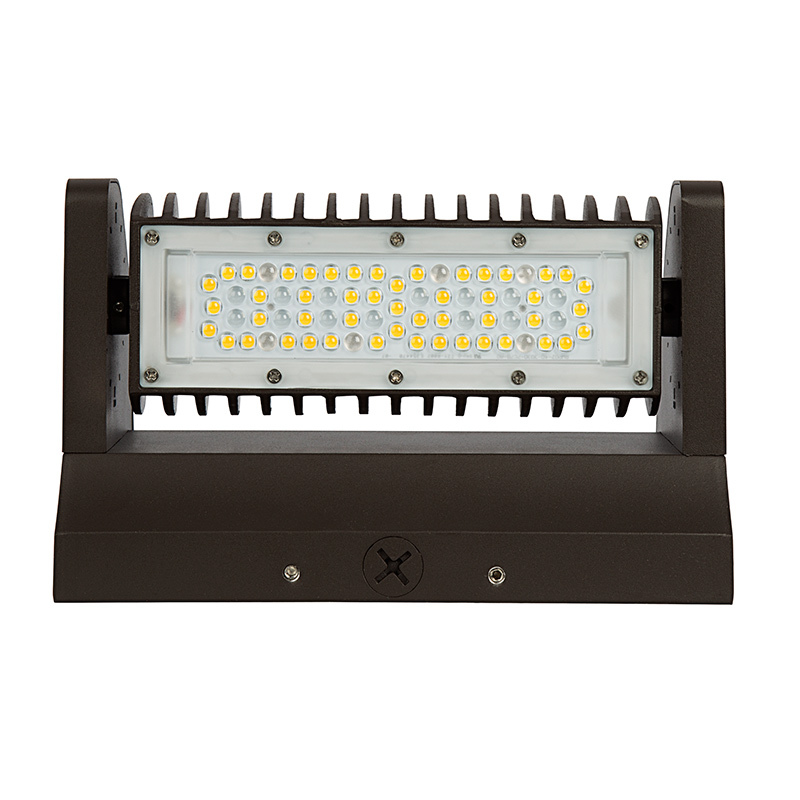 The 40-watt wall pack is designed to replace 175-watt metal-halide (MH) fixtures while lasting twice as long. 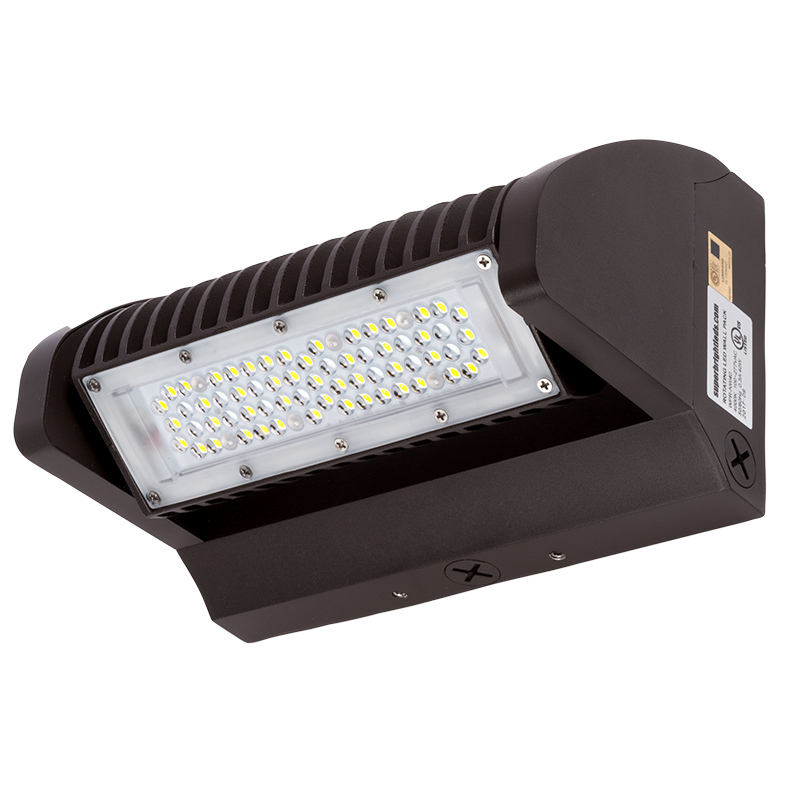 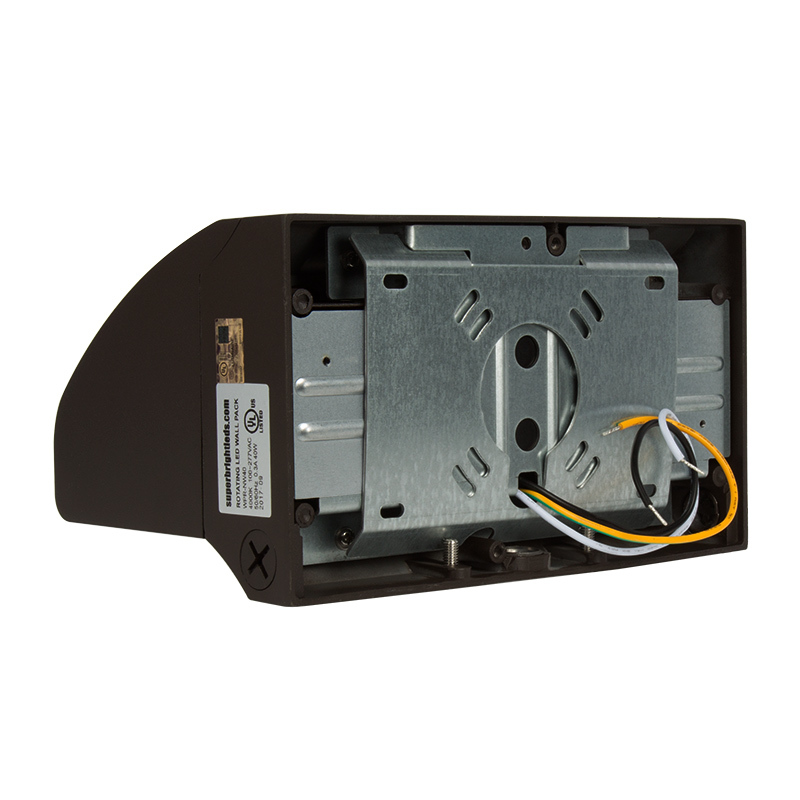 A weatherproof die cast aluminum housing is powder coated for rust resistance, and the durable polycarbonate lens protects LEDs. 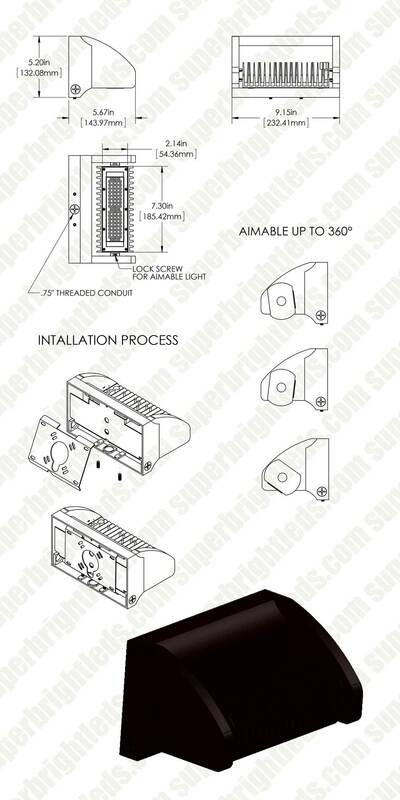 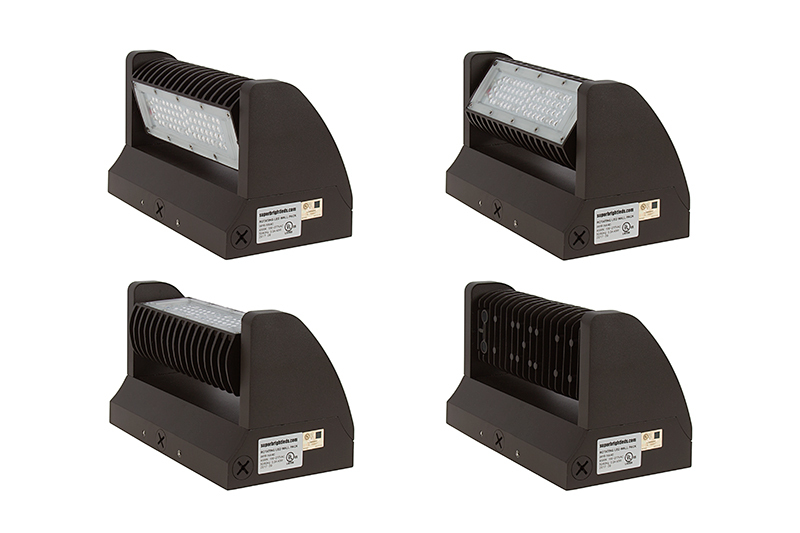 The LED fixture operates within a wide 120-277 VAC range. 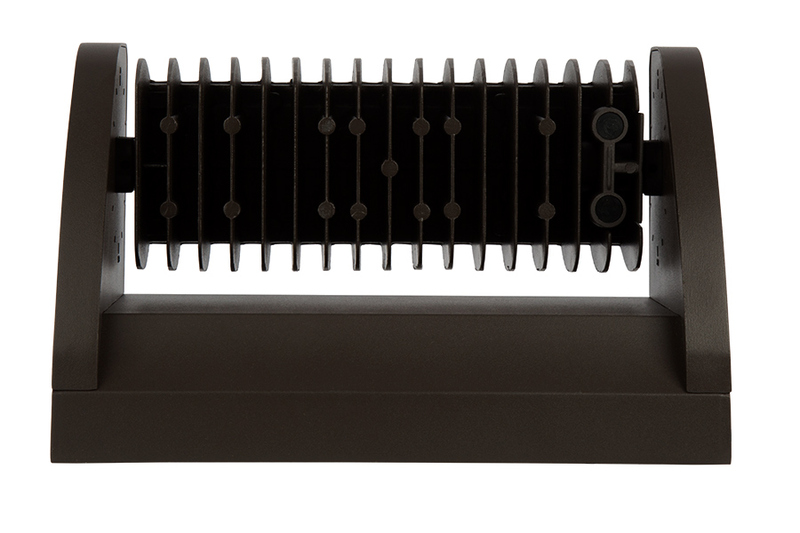 Also available in a dual-head 80-watt version.